The Rabbit box by ferm Living is the perfect solution to keep your child’s bedroom clean and tidy. Books, toys and even clothing can be discreetly stowed away in the round box. 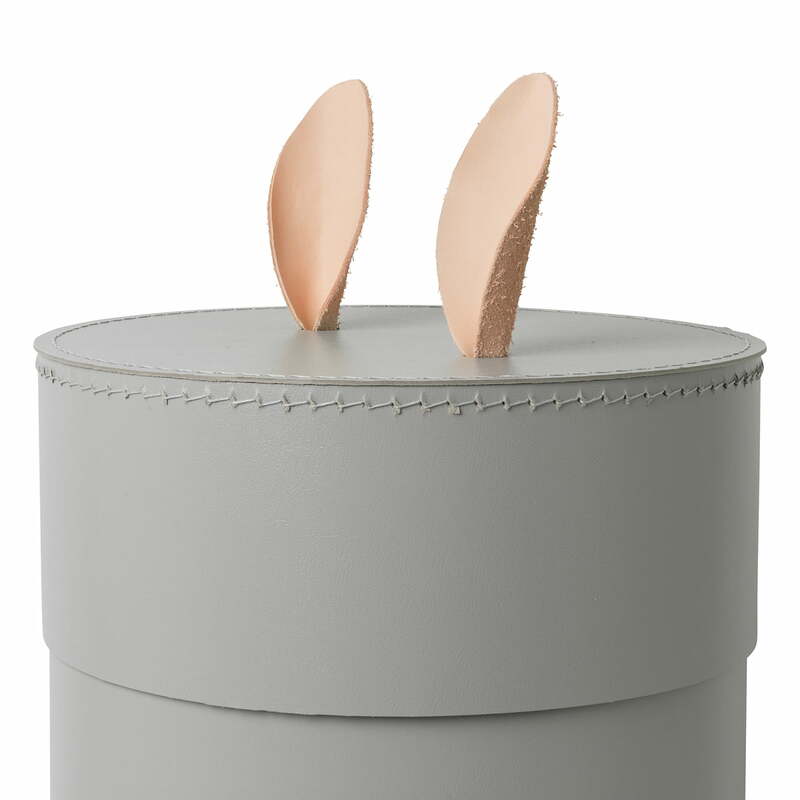 Everything can find its place in the beautiful box that doubles as decorative object thanks to the playful rabbit ears. The Rabbit Box consists of cardboard reinforced from the inside, while the ears are made from untreated leather that develop a charming patina over time. 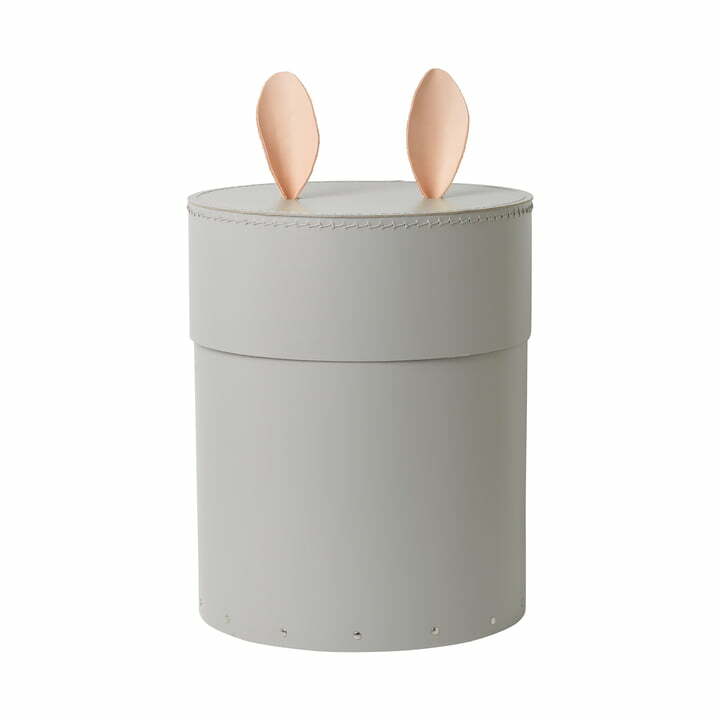 Isolated product image of the Rabbit storage box by ferm Living. The box is a beautiful decoration in the children's bedroom because of the playful rabbit ears. 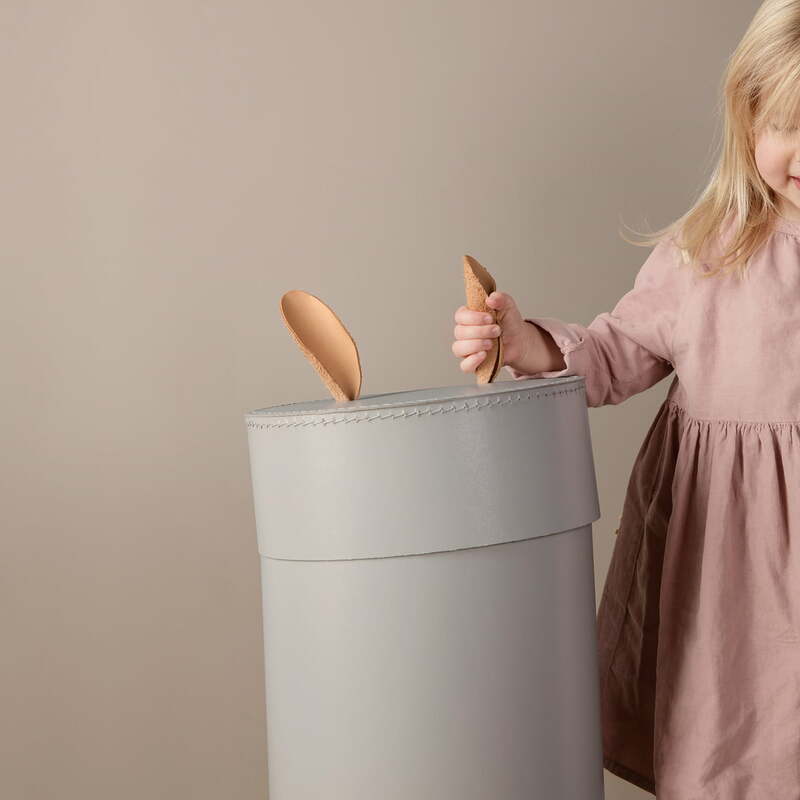 The Rabbit box by ferm Living is the perfect solution to keep your child’s bedroom clean and tidy. Books, toys and even clothing can be discreetly stowed away in the round box with rabbit ears on the lid.